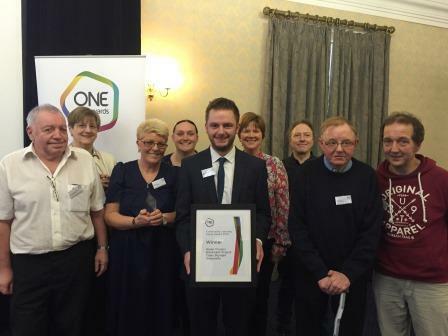 “One Awards” has been working with community and voluntary organisations in the North East for over 20 years, enabling them to provide accredited and quality-assured learning programmes. 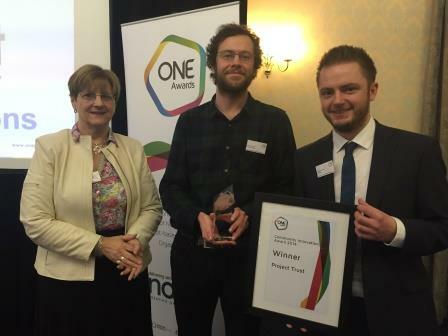 This year the One Awards Community Learning Awards were presented at the Community Sector Networking Event at Shotton Hall, Peterlee. The Community Learning Awards included speakers from North East learning organisations who have gained national recognition including Age UK Co Durham, Middlesbrough Environment City and Home Group. Guest speaker was Shane Chowen, Head of Policy and Public Affairs at NIACE (National Institute of Adult Continuing Education) – the national voice for lifelong learning. Presenting the awards were Minna Ireland, a One Awards Trustee, and Shane Chowen. There were four categories in total, each celebrating the attainments of individual learners, tutors and course providers or community groups. All winners have achieved considerable success in their particular field which will in turn benefit communities, lives and job prospects throughout the North East. 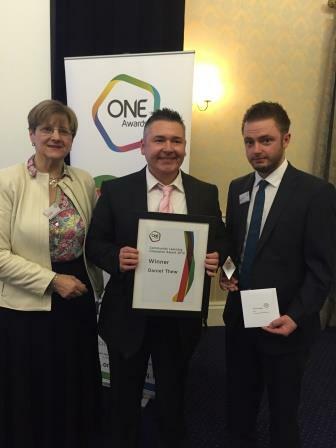 The Community Learning Champion Award 2015 was won by Daniel Thew from Roker in Sunderland.This award is given to a learner who has shown outstanding commitment to learning and has used their own learning to help and support others. Daniel joined One Awards’ “Employability Skills through Digital Arts and Media” course, run by Media Savvy Training Solutions CIC, Sunderland. The NHS were using the course as a pilot programme to help those with health difficulties as a pathway to return to employment and reintegrate into society. Throughout the course, Daniel grew in confidence and at the end of sessions he was asked to become peer mentor for the next group, assisting future learners not only with their work but also with their anxieties. He has been a spokesperson for the NHS as an ‘Expert by Experience’, telling the story of how he has overcome his health challenges to get to where he is now in his life. He is now employed by the NHS as a Peer Support Worker, a role he is thrilled about. The Young Parents’ group from Ashington Children’s Centre is a group of young mums and dads aged between 15 and 20 years old. Despite facing multiple barriers to learning, six of the young mums were keen to improve their prospects and those of their children. They were very pro-active and helped to design the programme that they felt would benefit their children and their own lives. They proved to be dedicated and highly motivated learners determined to create brighter futures for themselves and their children. Since completing the programme they continue to meet up regularly.Two of the young mums have entered part time employment and one young mum returned to full time school. The second winner in this category was Age UK Co Durham’s “Have your say”. Eight young people from 15 – 20 embarked on this One Awards-accredited course which aims to help people recognise age discrimination, grow in confidence, communicate well with older people, sort out problems and get involved in their communities. The students all made outstanding progress. From their initial insecurity and lack of confidence they have developed into assertive young people who can communicate confidently with people of all ages. 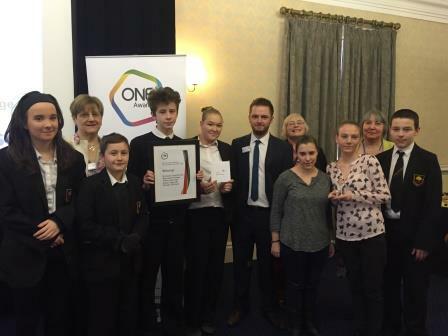 This award recognises the benefits that group learning can bring to students. It is given to a group of learners who demonstrate enjoyable and effective learning. This year it was won by the One Awards- accredited Green Fingers Allotment Project - Crisis Skylight. Crisis Skylight Newcastle is part of Crisis, a national charity whose mission is to end homelessness. They offer educational opportunities and one to one advice support to single homeless people across the region. The Allotment Project was set up as a partnership learning opportunity between Crisis Skylight Newcastle and NECA (North East Council for Addictions) in April 2014. The allotment had initially been rented by NECA and they needed to engage a group to develop the site. A tutor was appointed to work with Crisis member volunteers and One Awards approved and accredited a number of horticulture course units. During 2014 Crisis members planted potatoes, onions, cabbages, lettuce and sweet corn, fruits such as cucumber, tomatoes and squash. Sweet peas and fuchsia plants were also grown alongside the food crops. Foot paths were repaired and a poly tunnel constructed along with raised vegetable beds. An impressive harvest of fresh produce was produced in the late summer to the enjoyment and satisfaction of everyone in the group.Much of this was used by the Crisis Skylight Cafe and enjoyed by customers. Work continues and a garden pond with deep water plants is now being developed, a compost bay is being built and the rebuilding of the fence is taking place. Along with this are the regular gardening jobs of the season such as winter mulching. Throughout 2014 Crisis members have transformed the allotment into an excellent working environment due to their dedication and endless enthusiasm. They are all justly proud of their efforts. This Award recognises innovative development that has made a difference to learners, or a unique solution developed which addresses a specific problem including innovation in educational practices which stand out as being particularly visionary, imaginative or effective. Age UK County Durham’s “Come Eat Together” is a highly innovative scheme – and the only project of its kind in the UK - to tackle joint issues of inadequate nutrition and social isolation in the elderly. Come Eat Together works in a number of different ways to bring older people together as well as promote the benefits of a healthy diet. Participants enjoy cookery demonstrations; sociable, stylish dining at local restaurants; shopping clubs and dining circles. It has an intergenerational element and provides opportunities for older people to share their skills with others, including young people. Underpinning all these activities within “Come Eat Together” is a fun, interactive course accredited by One Awards: “Healthy Eating for Older People”. The whole scheme also beat off 750 others to win a national award:“Best Healthcare Project” in the National Lottery Stars 2014. The second winner in this category was Project Trust. This is an educational charity that specialises in sending school leavers on long term volunteering placements to Asia, Africa and the Americas. These placements push volunteers far outside their comfort zone. They are challenged daily to explore their potential, learn new skills, develop confidence and independence and learn about a different culture. Volunteers return to the UK with broadened horizons, increased maturity and a range of transferable skills. The 2013/14 volunteers became the first group to receive the Foundation Year Level 3 certificate in “Global Volunteering and Citizenship”. This sees the education that volunteers receive through their journey become explicitly formalised. The programme was accredited and approved by One Awards. This valuable project has been recognised by the Chief Executive of UCAS Mary Curnock Cook OBE, who has noted, “volunteering programmes provide participants with valuable skills and experiences that will help them succeed in higher education”. Despite only being in its second year, the programme has already seen five separate cases of returned volunteers being offered places at University based on the strength of the certificate. 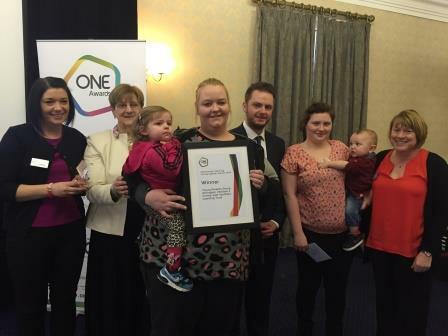 One Awards is justifiably proud of its involvement in this scheme. 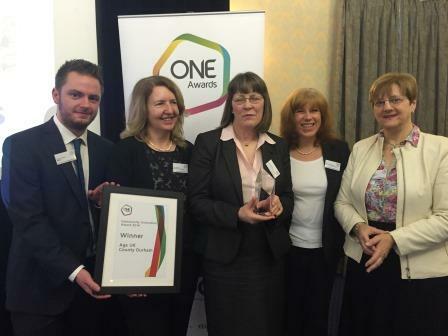 Chief Executive of One Awards, Louise Morritt said: “One Awards is immensely proud to be associated with the voluntary and community sector. We share an excellent working relationship that goes back a long way. For twenty years our organisation, in its various guises of TROCN, NEOCN and OCNNER has been enabling community and voluntary groups to provide formally accredited and quality assured learning.